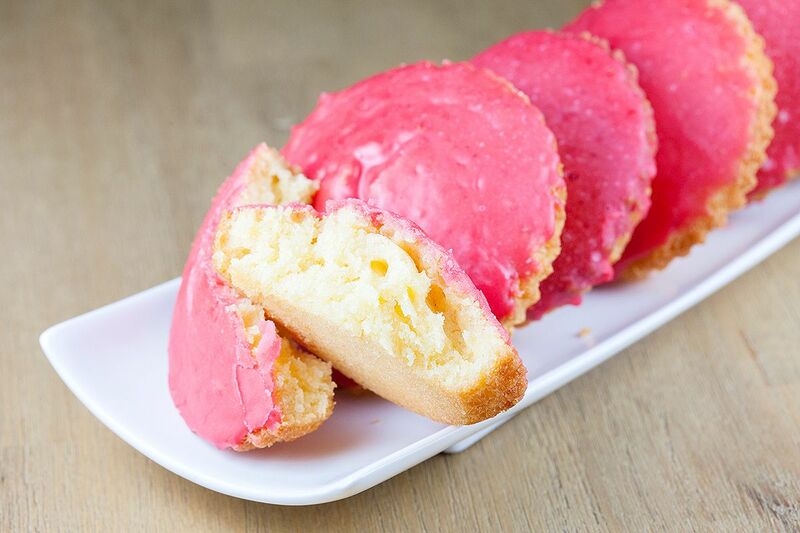 Ever had this pink Dutch mini cake? 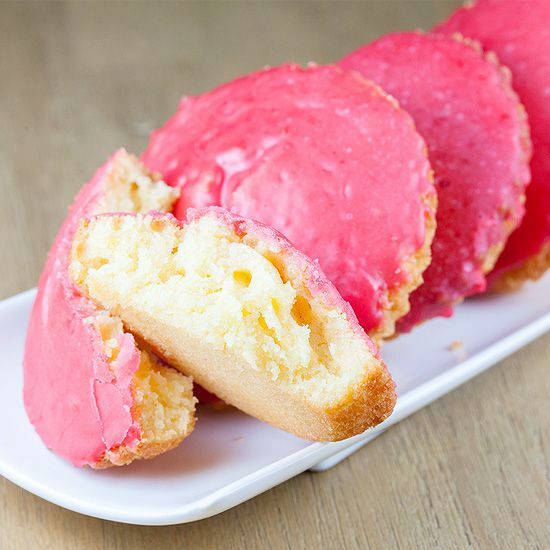 Recipe for 8 "roze koeken" or Dutch pink cakes, ready in 40 minutes. PRE-HEAT the oven to 165 degrees celsius or 330 degrees fahrenheit. Use butter to coat the tart forms with the silicone kitchen brush. 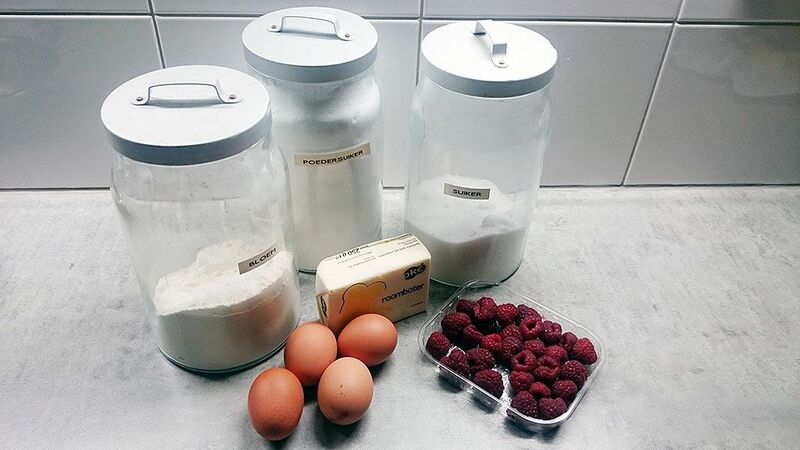 The most easiest and delicious cake recipe ever, cause the ratio for the ingredients are equal! All you have to do is mix butter and sugar until you’ve reached a smooth and creamy mixture. One by one, ADD the eggs and keep on mixing. For the last step, you’ll sift in the flour. There you have it, a smooth and easy cake batter. You can divide the batter into the tart forms using a spoon or piping-bag without nozzle. FILL the forms halfway with the batter. BAKE the tiny cakes for about 15 minutes, depending on your oven. They should be golden brown. Let them cool off for about 10 minutes before removing them from the tart forms. 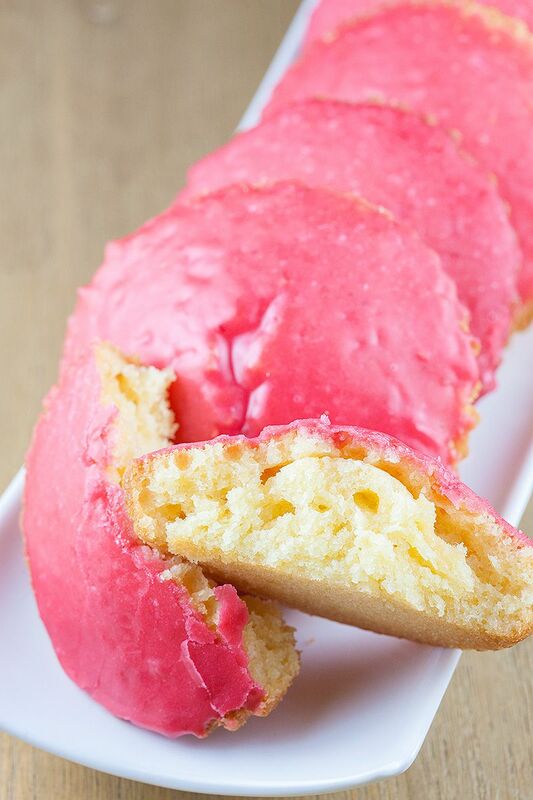 Let the cakes cool off completely before giving them their pretty pink color. Now for the pink frosting. All you have to do is use a fine sieve and a spoon to press the raspberries through, so all you’ll end up with is a smooth raspberry ‘puree’. Now ADD the powdered sugar little by little and mix with a whisk until you’ve reached a smooth but kind of thick frosting. Use a fork to dip the cakes into the frosting to get it beautifully pink on just one side of the cake. All you have to do now is wait half an hour for the frosting to dry, enjoy!